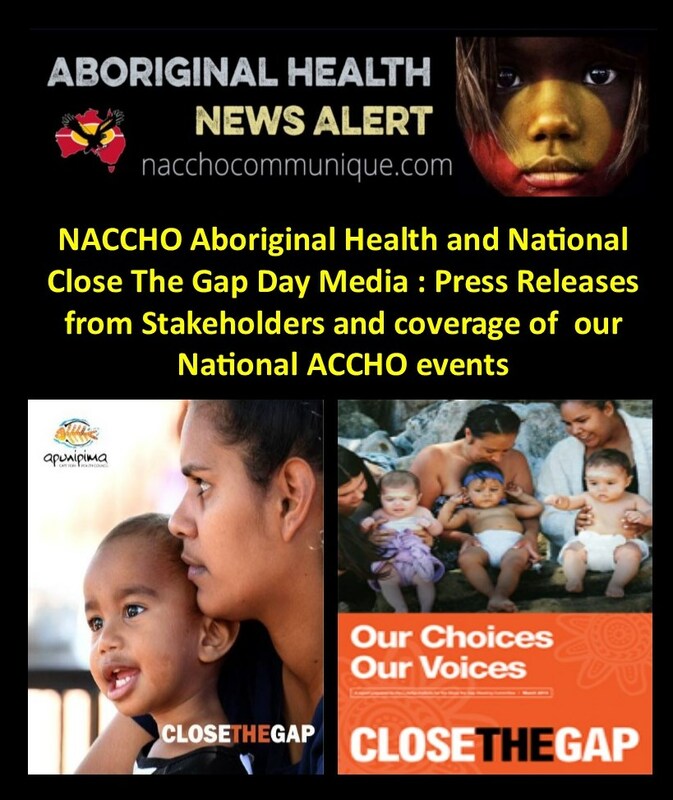 ← NACCHO Press Release : Aboriginal Health and #ClosetheGap Report : #NationalClosetheGap Day : A Time to Reflect and Recommit how our mob can enjoy the same access to health, education and employment outcomes as non-Indigenous Australians. A national campaign highlighting the health and well-being of Indigenous people was launched in Campbelltown today. 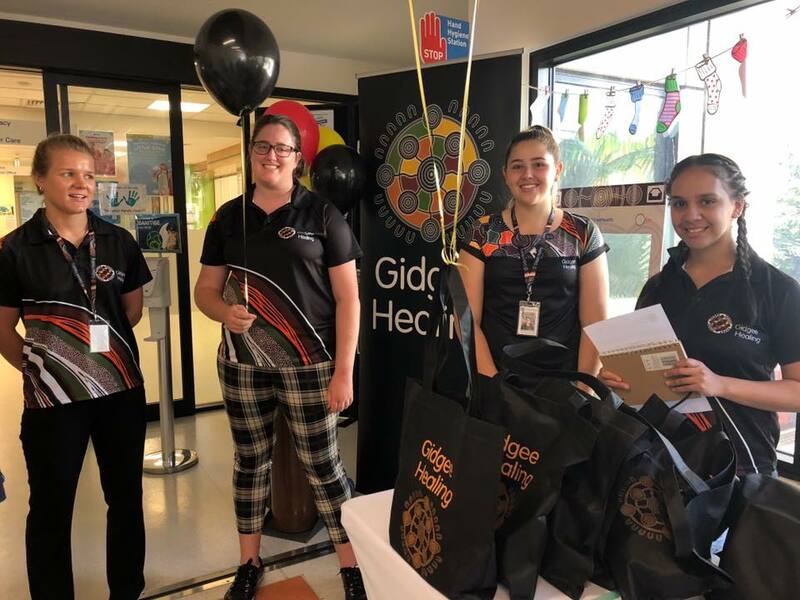 Close the Gap Day was established to celebrate community practices that are positively affecting Aboriginal and Torres Strait Islander people. 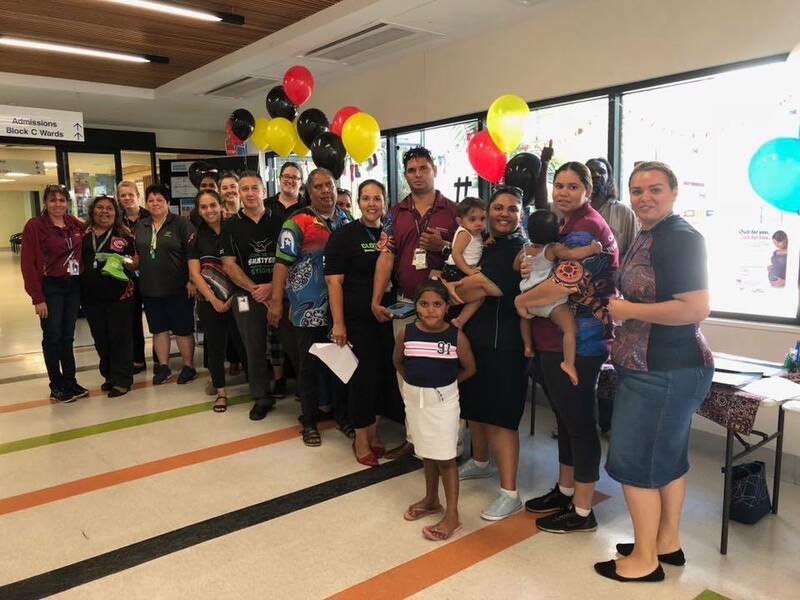 Tharawal Aboriginal Corporation in Airds was chosen to host the launch due to its valuable contributions to the local community. Campbelltown mayor George Brticevic said the event was important not just for Macarthur, but for the rest of Australia as well. “The importance we place on everyone in our community being able to enjoy a comparable standard of life can’t be understated,” he said. 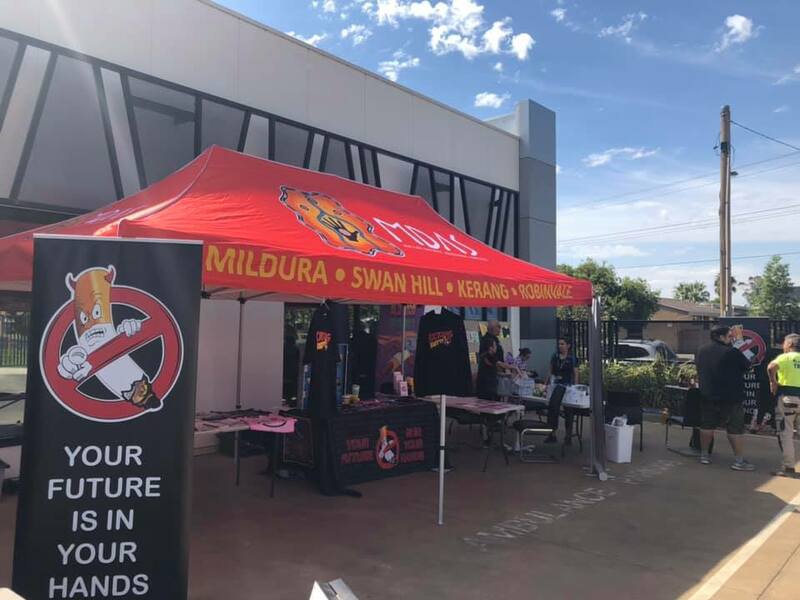 “Close the Gap Day is a reminder of the inequalities Aboriginal and Torres Strait Islander people still face today, and a call to action for the entire community. South-western Sydney has the largest growing Aboriginal and Torres Strait Islander population in Australia, but the health of the community as a whole trails well behind non-Aboriginal Australians. According to the most recent census, Aboriginal men on average live to 69 compared to non-Aboriginal men who live to 80. Non-Aboriginal women live to 84 compared to Aboriginal women who live to 73. 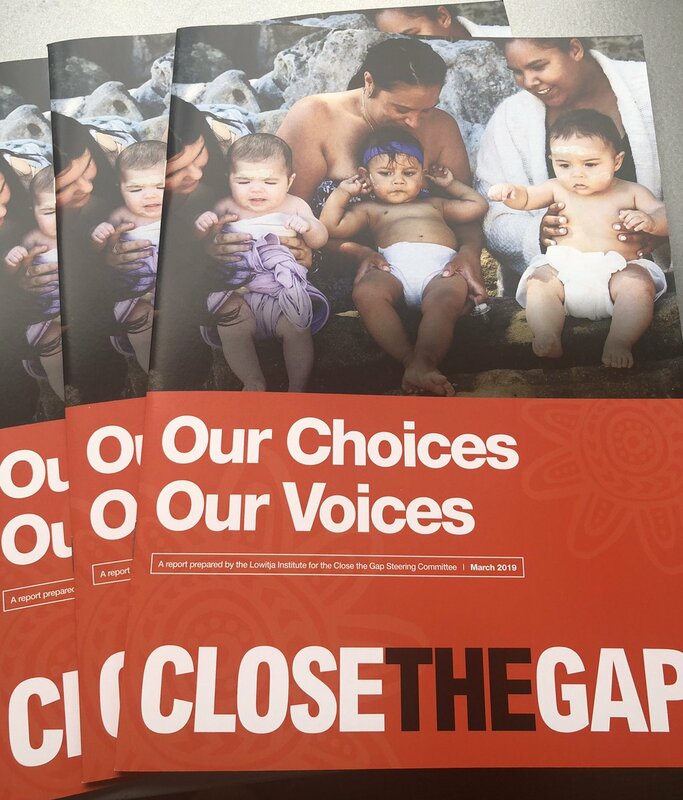 The 2019 Close the Gap report, “Our Choices, Our Voices”, was released this morning. 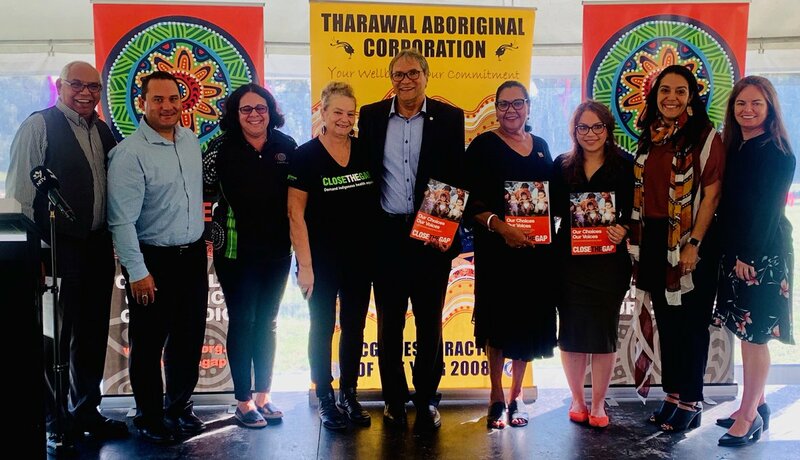 National Congress of Australia’s First Peoples co-chair Rod Little said the report highlighted the incredible work being carried out by Aboriginal Community Controlled Organisations (ACCOs) to improve the health and well-being of Aboriginal and Torres Strait Islander peoples. “The stories in the report clearly demonstrate that when Aboriginal and Torres Strait Islander people are involved in the design and delivery of the services they need, we are far more likely to succeed,” he said. In his address, Prime Minister Scott Morrison restated the government’s commitment to work collaboratively in a formal partnership with Aboriginal and Torres Strait Islander people. Mr Little said he hoped National Close the Gap Day would encourage further commitment to address the challenge of health inequality. 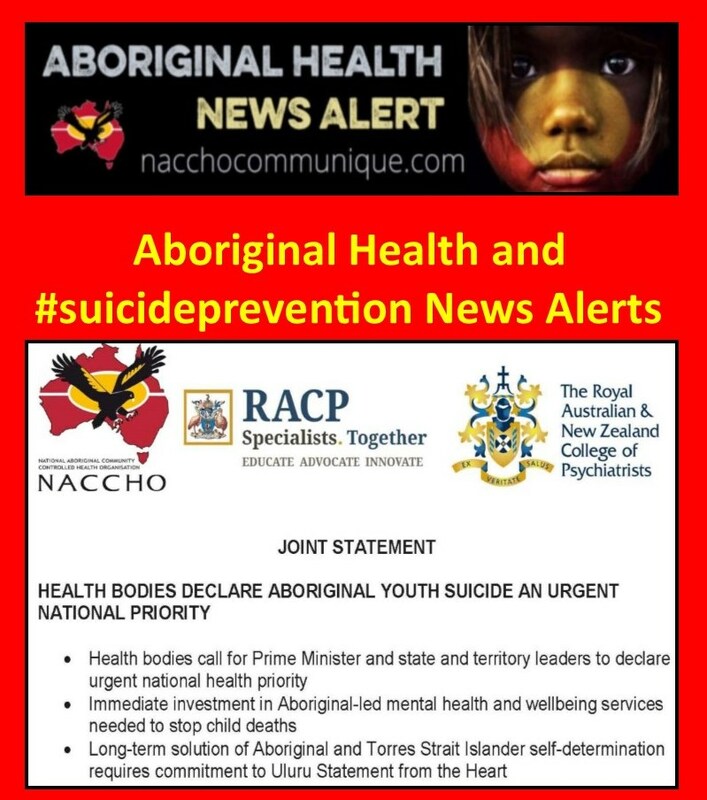 “Health outcomes and life expectancy in Aboriginal communities are affected by many different factors, such as housing, educational opportunity, access to community-controlled primary health services, a culturally safe workforce, racism, and trauma and healing,” he said. “I want Aboriginal and Torres Strait Islander peoples to have the same opportunity to live full and healthy lives, like all other Australians. ‘These factors account for over one-half of the difference in health outcomes between Aboriginal and Torres Strait Islander people and non-Indigenous Australians. ‘To reduce such inequities, as a nation we need to have concrete action on things many non-Indigenous Australians take for granted. Things such as quality housing, effective education, jobs, community activities, access to healthy food and clean water, and access to appropriate healthcare. ‘When we say “appropriate healthcare” we mean more than medically appropriate—we mean culturally safe healthcare services. ‘When dealing with the healthcare sector Aboriginal and Torres Strait Islander peoples should feel safe and secure in their identity, culture and community. There should be no challenge to whether they should be able to access culturally safe services. Whether a service is “culturally safe” or not needs to be determined by Aboriginal and Torres Strait Islander people themselves. ‘In this vein, we have much to do in tackling institutional racism—which is different to individual racist acts, and mostly goes unacknowledged. ‘For example—a recently published study of the Australia and New Zealand Dialysis and Transplant (ANZDATA) Registry showed that Indigenous patients were less likely than non-Indigenous patients to be added to the transplantation waiting list during the first year of renal replacement therapy; this disparity was not explained by differences in patient- and disease-related factors. The authors concluded that changes in policy and practice are needed to reduce these differences. ‘There was also the case of a government department providing 26 different streams of funding for various ‘body parts’ (diabetes, heart disease and so on) to a holistic Aboriginal Medical Service—and then demanding 26 different streams of accountability for the money. Apart from the unreasonable reporting load, this kind of administration is screaming “we don’t trust you” to the funding recipients—and don’t imagine that they don’t feel it. ‘We need to go right back to the original 2008 Close the Gap Statement of Intent signed by the Council of Australian Governments (COAG). That statement was founded on an understanding that population health outcomes are fundamentally the result of social determinants and that governments need to work in partnership with Aboriginal and Torres Strait Islander peoples and their organisations to achieve beneficial outcomes. ‘The 2018 commitment by COAG to a formal partnership approach with Aboriginal and Torres Strait Islander peoples to Close the Gap is a long overdue step in the right direction. ‘In addition to Aboriginal and Torres Strait Islander peoples having a leadership role in Aboriginal health, let’s also ensure that there is strong investment in Aboriginal health services, and prioritised development of an Aboriginal health workforce to deliver both Aboriginal-specific and mainstream health services’, Ms Verhoeven said. Dr Schramm points to Aboriginal Community Controlled Health Services (ACCHS) as a proven example of the success that comes with people being involved. ‘Their strength is that, as it says, they are community-controlled,’ she said. ‘They’re developed by the community, for the community. Dr Tim Senior, Medical Advisor for RACGP Aboriginal and Torres Strait Islander Health, also spoke at this week’s event, emphasising the need for non-Indigenous Australians to truly consult with Aboriginal and Torres Strait Islander communities about what is needed to close health gaps. ‘We actually have to do much more listening than talking, particularly around issues of cultural safety. ‘This is not up to us to decide or judge, this is up to thousands of local communities around Australia to decide and judge if we are getting this right,’ Dr Senior said. 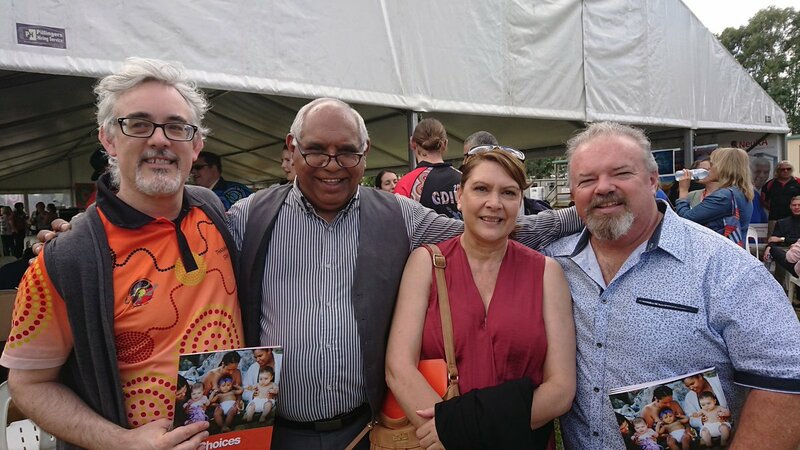 The Royal Australian and New Zealand College of Psychiatrists (RANZCP) supports Close the Gap Day as an important opportunity to reflect on the social and health disparities present between Aboriginal and Torres Strait Islander peoples and other Australians. 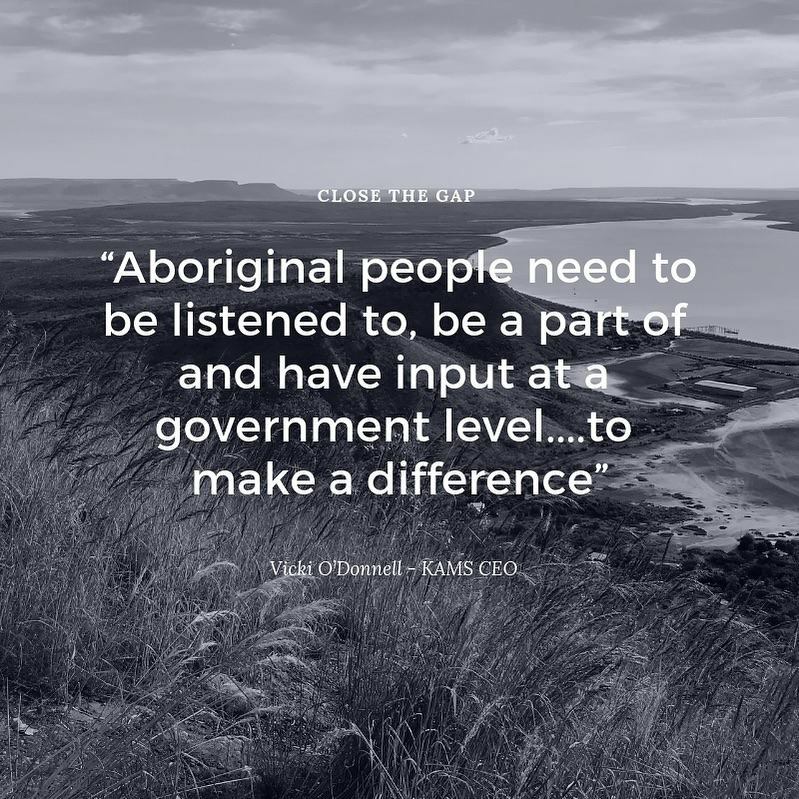 The recently released Closing the Gap Report 2019 once again showed that in many areas Australia is not making progress. In recognition of the need for ongoing action to address the social determinants of health and the mental health needs of Aboriginal and Torres Strait Islander peoples, the College recently updated its Position Statement to call for the recognition of Aboriginal and Torres Strait Islander peoples in the Australian Constitution. The RANZCP supports the establishment of an Aboriginal and Torres Strait Islander advisory body to guarantee an Indigenous voice in political decision-making, as recommended in the Uluru Statement from the Heart. In order to realise truth-telling and promote health, the RANZCP also supports the establishment of a Makarrata Commission to guide the treaty process and to provide a basis for truth-telling. 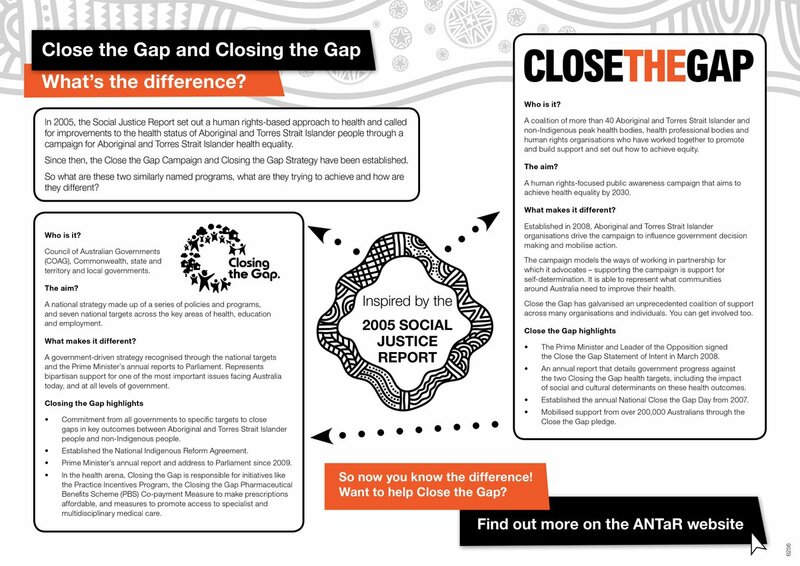 The inclusion of mental health targets in any refresh to the Close the Gap strategy, designed and implemented in collaboration with Aboriginal and Torres Strait Islander peoples, is also a crucial part of working towards achieving health equity. For more information, see Position Statement 68: Recognition of Aboriginal and Torres Strait Islander peoples in the Australian Constitution. 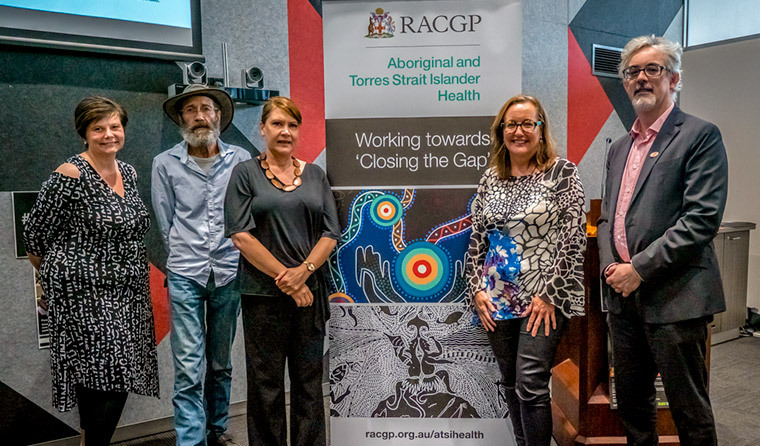 The Australian College of Rural and Remote Medicine (ACRRM) sees this Close the Gap Day as a time to focus efforts on the strategies that are successfully delivering better health outcomes to Aboriginal and Torres Strait Islander people. ACRRM is a Close the Gap Campaign member and welcomes the Government’s recent commitment to progress its future work in full partnership with peak Aboriginal and Torres Strait Islander groups. Alongside this, ACRRM commits to sharpening its own efforts to contribute toward health equity for Aboriginal and Torres Strait Islander people. ACRRM President Dr Ewen McPhee says that after 11 years of closing the gap, if we are to achieve health equality for Aboriginal and Torres Strait Islander peoples by 2030, we need to build on what’s working. “Health inequality has by most counts, worsened in the 11 years since the Close the Gap Strategy was produced,” he says. “We need to work harder and smarter and learn from the many success stories of how community-centred, culturally-appropriate, primary-care is improving health outcomes for Australia’s first peoples. 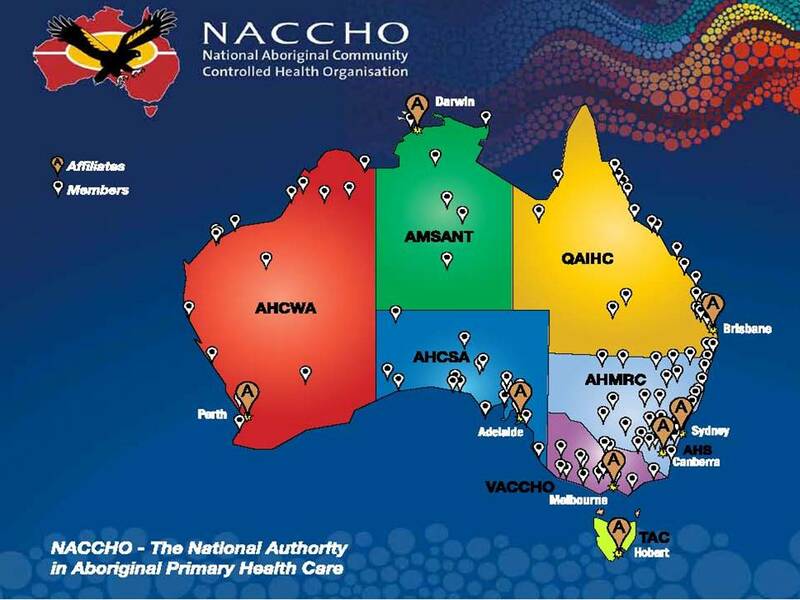 “It is known that Aboriginal and Torres Strait Islander patients access health services more, where they feel they are culturally safe and respected and have strong relationships with practitioners, especially where there are Aboriginal and Torres Strait Islander doctors and staff to support them. “The College recognises that by ensuring our doctors are dedicated and culturally competent and, by growing and supporting our Aboriginal and Torres Strait Islander Fellows, we are able to make an important contribution. 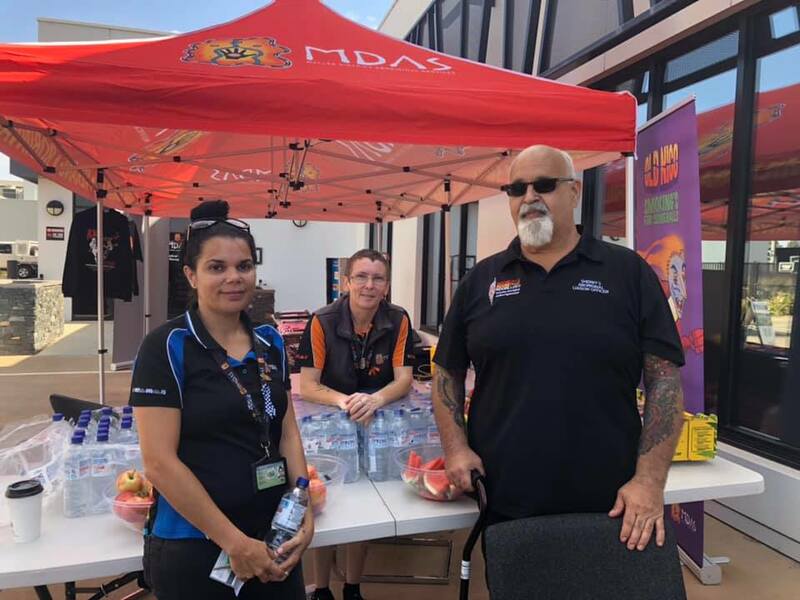 “Most ACRRM doctors have significant numbers of Aboriginal and Torres Strait Islander patients and our members are practising in some of the country’s highest needs, remote Aboriginal and Torres Strait Islander communities. “Our College has more Aboriginal and Torres Strait Islander members now than ever before and since introducing its own selection process in 2017, ACRRM has seen continuing record numbers of Aboriginal and Torres Strait Islander doctor enrolments to its training programs. National surveys demonstrate ACRRM registrars continue to be distinguished among general practice registrars for their interest in and likelihood of working with Aboriginal and Torres Strait Islander patients. “Today we are happy to build on the outstanding contributions of our Aboriginal and Torres Strait Islander doctors and all our dedicated members working in rural and remote Aboriginal and Torres Strait Islander communities,” Dr McPhee says. ACRRM is proud of the exceptional work of its members in serving Aboriginal and Torres Strait Islander communities and sees great promise for the future in both the passion and the capacity of the doctors that it continues to attract. Emergency departments (and health systems generally) have been poor at providing culturally safe and appropriate environments for Aboriginal and Torres Strait Islander peoples. ACEM recognises that in order to help o close the gap in health outcomes emergency departments and the health system must improve our accessibility and responsiveness to Aboriginal and Torres Strait Islander communities. A 2018 ACEM report examining the experience of Aboriginal and Torres Strait Islander (Indigenous) and non-Indigenous patients presenting to Australian emergency departments shows Indigenous patients are overrepresented, both in their number of presentations to EDs relative to their proportion of population (in remote, very remote and metropolitan areas). For many patients, the emergency department is the front door to the health system. The experience of any patient presenting to an ED is one that may then shape their steps into specialist or other care, and their opportunities to achieve optimal health and life outcomes, so it is particularly important that the care we provide is culturally safe. Since 2008 disparities health and life outcomes for Aboriginal and Torres Strait Islander peoples have been measured and tracked as part of the Australian Government’s Closing the Gap strategy, which has sought to identify and reduce these disparities with non-Indigenous populations of Australia. As the government and Coalition of Australian Governments finally pursue meaningful partnerships with Aboriginal and Torres Strait Islander communities, leaders and peak bodies to close these gaps, ACEM is continuing its work to build culturally safe emergency departments and an emergency medicine workforce that is responsive to the needs of Aboriginal and Torres Strait Islander patients. To achieve this, we recognise that this work needs to be led from Aboriginal communities and organisations. We must also better enable the growth and development of our Aboriginal and Torres Strait Islander emergency specialist workforce. This year the College’s RAP Steering Group is renewing ACEM’s Innovate RAP in partnership with Reconciliation Australia. The College’s inaugural RAP was released in 2017 with design by Indigenous artist Luke Mallie. 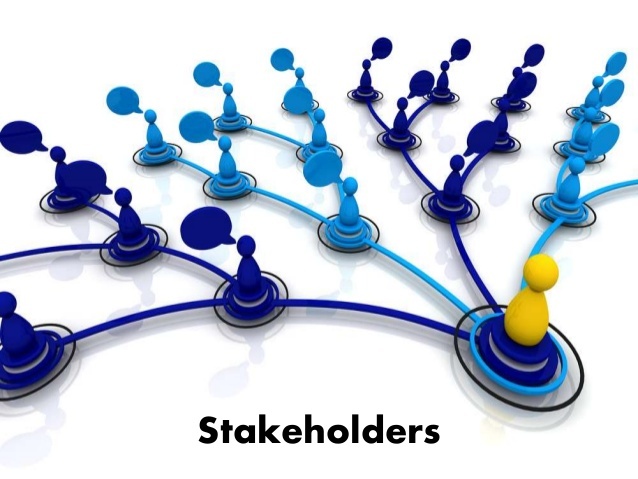 Just nine (of more than 100) deliverables in that RAP have so far not been achieved and will be reincorporated into the next RAP (2019–21), being produced by Marcus Lee Design. Embedding Indigenous Health and Cultural Competency into the ACEM Curriculum Framework. Awarding the Joseph Epstein Scholarshipto support the training and development of an Aboriginal, Torres Strait Islander or Māori advanced trainee. Accrediting Indigenous Health Special Skills posts for rural health. Developing careers resources for Aboriginal and Torres Strait Islander doctors working in emergency medicine. Advocating for more Indigenous Health Liaison Officers to be employed in emergency departments. Increasing the numbers of Aboriginal and Torres Strait Islander trainees, Diplomates and Certificants. Introducing mandatory cultural competence activitiesinto its Specialist CPD program. The action plan guides the priorities and work of the College as it continues its commitment to equity in the health outcomes for Aboriginal and Torres Strait Islander peoples and seeks to build environments, systems and structures to support the training, development and careers of the Aboriginal and Torres Strait Islander workforce in emergency medicine. Currently in NSW as well as across Australia, the gap between Aboriginal and non-Aboriginal kids continues to widen across the child protection system. In NSW, Aboriginal children are now almost 9 times more likely to be involved in the child protection system, an increase from almost 7 times for the previous year. “The gap is widening. Aboriginal children are now 11 times more likely to be removed from their families than non-Indigenous children, an increase from last year. “Closing the Gap will only be successful if Aboriginal communities lead the solutions. We need a genuine partnership between governments and Aboriginal communities that invests in Aboriginalled solutions, designed by Aboriginal people, and delivered by Aboriginal organisations. “ If elected, a Shorten Labor Government will move quickly to agree on a process with First Nations people to make the Voice a reality – including a pathway to a referendum. Labor supports a Voice. We support enshrining it in the Constitution. This is our first priority for Constitutional change. 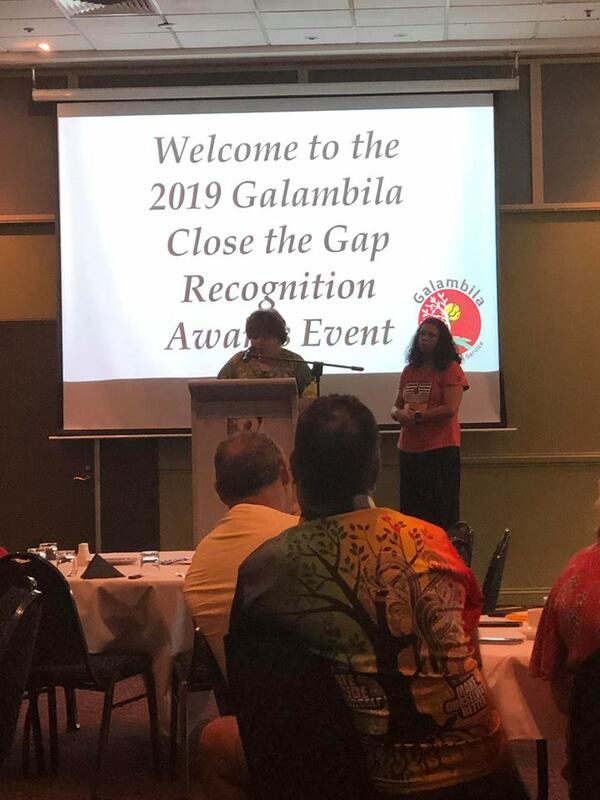 Australian Greens Senator Rachel Siewert said a commitment to self-determination must be at the heart of closing the gap, and that this approach has been sadly lacking. The RACP is urging all Australian people to recognise Indigenous leadership and success on National Close the Gap Day 2019. 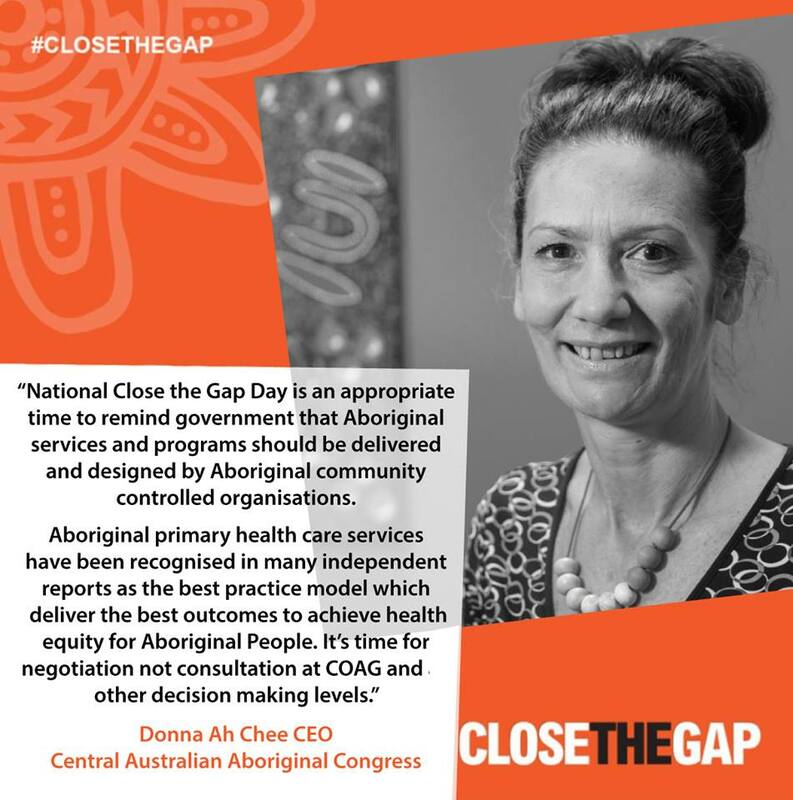 The RACP is a founding member of the Close the Gap Campaign for Indigenous health equality, a campaign by peak Indigenous and non-Indigenous health bodies to close the health and life expectancy gap by 2030. RACP President Associate Professor Mark Lane said Indigenous leadership and community-control are central. “Without self-determination, it is not possible for Aboriginal and Torres Strait Islander people to fully overcome the legacy of colonisation and dispossession, and the ongoing impacts on health. Equal access to healthcare is a basic human right, but sadly, this is not the reality for Aboriginal and Torres Strait Islander Australians. 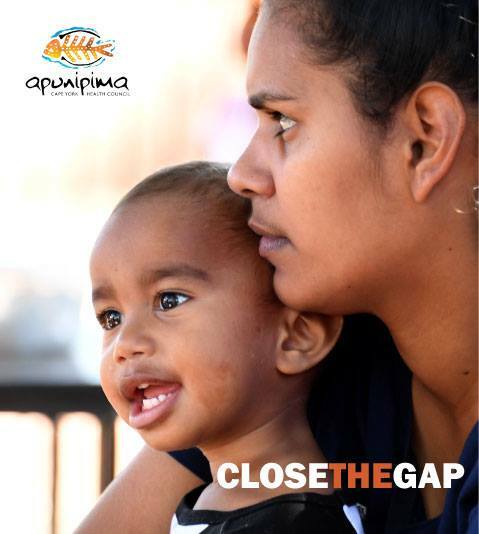 Today is Close the Gap Day – an important initiative which aims to achieve health equality within a decade. Here at the Stroke Foundation, we believe this is a goal well worth fighting for. 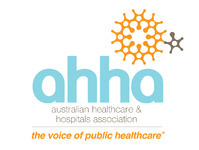 All Australians need and deserve to have access to best practice health care. Currently, Aboriginal and Torres Strait Islander people are overrepresented in stroke statistics. This is harrowing and it must change. Indigenous Australians are twice as likely to be hospitalised with stroke and 1.5 times as likely to die from stroke than non-indigenous Australians. A 2018 Australian National University study found one-third to a half of Aboriginal and Torres Strait Islander people in their 40s, 50s and 60s were at high risk of future heart attack or stroke. Alarmingly, high levels of risk were also found in people under the age of 35. Our vision is for a world free from disability and suffering caused by stroke, but there is so much to do in our own backyard. Stroke Foundation is committed to working with Aboriginal and Torres Strait Islander health organisations to improve the health outcomes of Indigenous communities. This includes access to health checks and increasing stroke awareness by delivering targeted education on what a stroke is, how to prevent it and how to spot the F.A.S.T signs of stroke. Our commitment to establishing a national telestroke network is also a big step towards transforming emergency stroke treatment for regional and rural Australia. Stroke can be prevented, it can be treated and it can be beaten. We must act now to stem the tide of this devastating disease by closing the gap and delivering health equality. 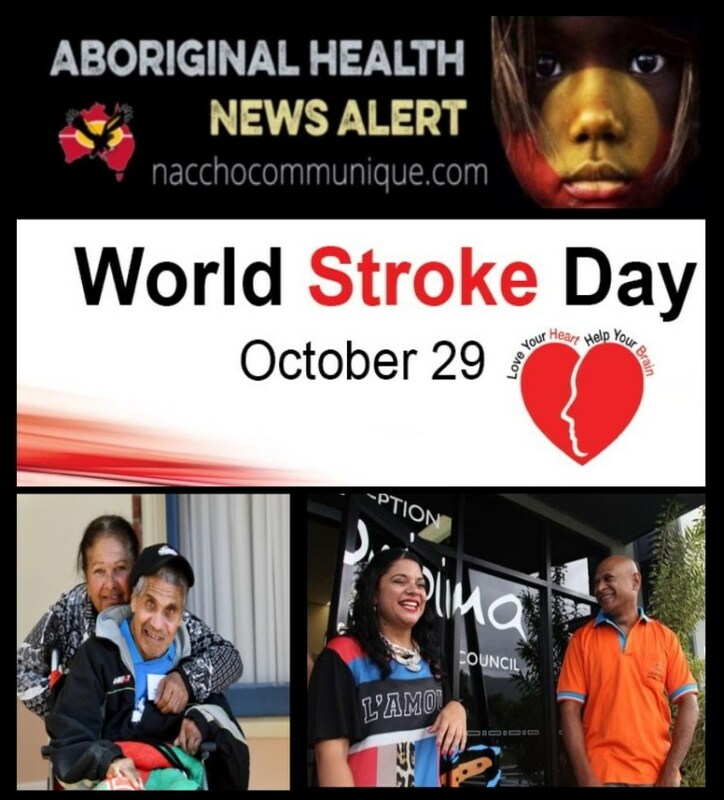 The burden of disease for stroke in Aboriginal and Torres Strait Islander people is 2.3 times that of non-Indigenous Australians. Aboriginal and Torres Strait Islander people are 1.5 times more likely to die from stroke as non-Indigenous Australians. Today is National Close the Gap Day, a day we re-affirm our commitment to delivering better outcomes for our First Australians. 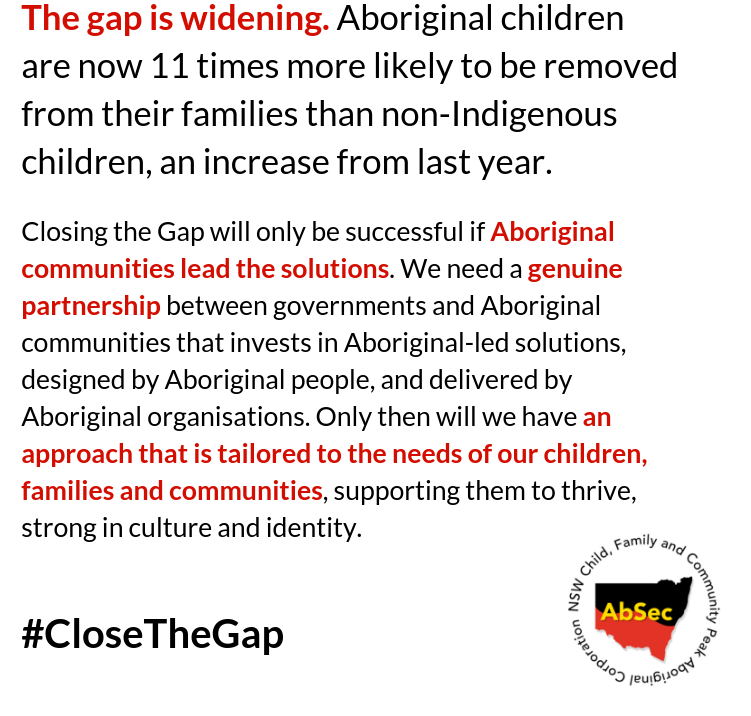 The Coalition Government under the leadership of Prime Minister Scott Morrison (ScoMo) has re-framed the Government’s Closing the Gap agenda and established a new partnership with Aboriginal and Torres Strait Islander peak organisations as well as state and territory governments to drive the next phase of Closing the Gap. We are committed to this because we know that Aboriginal and Torres Strait Islander Australians must have a say in their future and be a part of our shared efforts to improve the life outcomes of our First Australians. That is why under the Indigenous Advancement Strategy we have doubled the percentage of Indigenous organisations receiving contracts under the Indigenous Advancement Strategy. When I became Minister for Indigenous Affairs only 30 per cent of our services funded to deliver better outcomes for Aboriginal and Torres Strait Islander communities were delivered by Indigenous organisations. Today, I am proud to say that 60 per cent of our services are delivered by Indigenous organisations. Aboriginal and Torres Strait Islander people must be at the heart of our nation’s commitment to deliver a better future for all Australians including our First Australians.